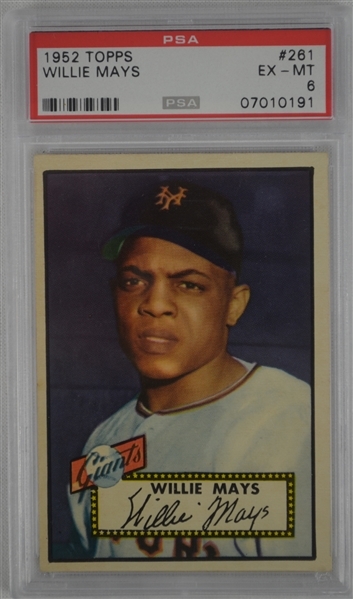 This lot features a Willie Mays 1952 Topps #261 New York Giants rookie that has been professionally authenticated and graded in PSA 6 EX/MT condition. This ultra popular Mays rookie has stunning eye appeal as it is has 4 rock solid corners, beautiful picture quality, crisp/clean edges and is centered 60/40 top to bottom and left to right. You would be hard pressed to find anything not to like with this beauty that would right at home in a PSA 7 holder. 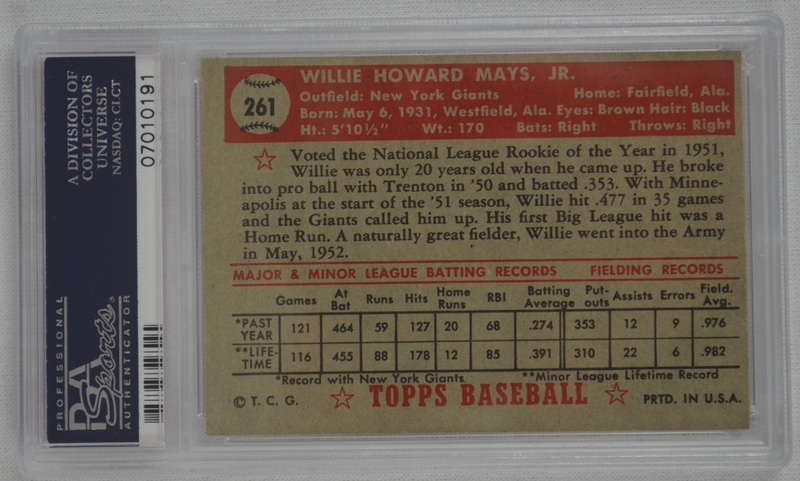 This Mays card is one of the most important and sought after post-war cards and there have only been a grand total of 161 examples to earn a higher grade from PSA. Tremendous investment opportunity with this card.